Rex Ryan wasn't shy about letting people know what kind of team he expected to throw out on the field this season. Ryan predicted that the Jets were going to be a steamroller that wiped the field with their opposition on a weekly basis. Much like Eliot Spitzer, the last prominent New Yorker to make such a boast, reality turned out very differently. Thankfully, the similarities between Ryan and Spitzer stop there and don't include anything having to do with hookers or socks left on during certain activities. 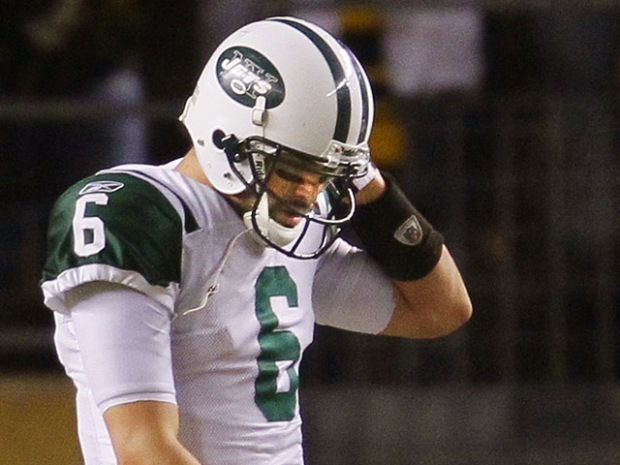 The Jets haven't been a steamroller, not by a long shot. What they've been is something far more terrifying. They are a team that can show up one Sunday and beat any team in the league in any venue in the league in a fashion that makes people talk about them as a Super Bowl contender. Then the next week they can find themselves unable to make the simplest play on the field against the dregs of the league. And there's absolutely no rhyme or reason to use to figure out which one of those teams is going to show up. The last two weeks have driven that point home with vigor, but it isn't a new thing. Throughout Ryan's first 33 games as coach of the Jets, they've been maddingly inconsistent. That's a reflection of their coach, to be sure, and it is also a reflection of their quarterback. 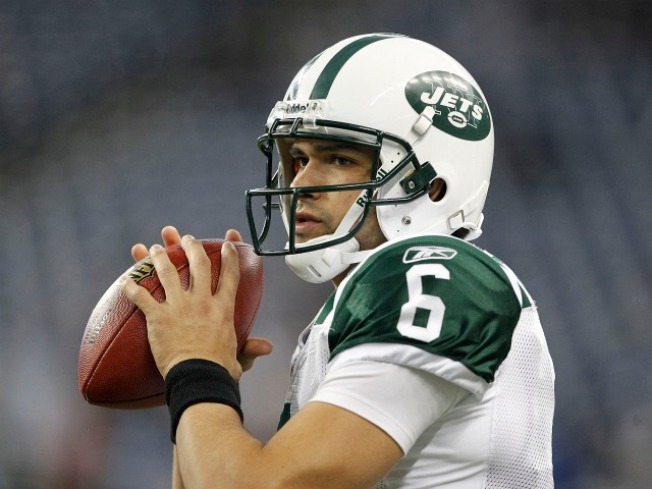 Mark Sanchez didn't set the world on fire against the Steelers. He didn't even throw a touchdown pass. But he played like a mature leader of men against a defense that, with or without Troy Polamalu, regularly devours men with better reputations than the Jets quarterback. He did it against a backdrop of intense criticism and in snowy conditions on the road in a game that his team desperately needed to win. How is that the same guy who didn't show up the two previous weeks? How is that the same guy who threw away two other games this season and the guy who could barely tie his shoelaces as a rookie? Those are rhetorical questions, obviously, because if anyone had answers we wouldn't have to suffer through Sundays like the one against the Dolphins. On a team less fragile than the 2010 Jets -- like the 2000 Ravens-- perhaps the unpredictability of Sanchez could be overcome. That's not this team, though. The Jets take their cues from their quarterback and he drives a roller coaster, not a steamroller, to work each week.